My Friend’s Baby Has Down Syndrome….What Do I Say? – Dwonna Know What I Think? 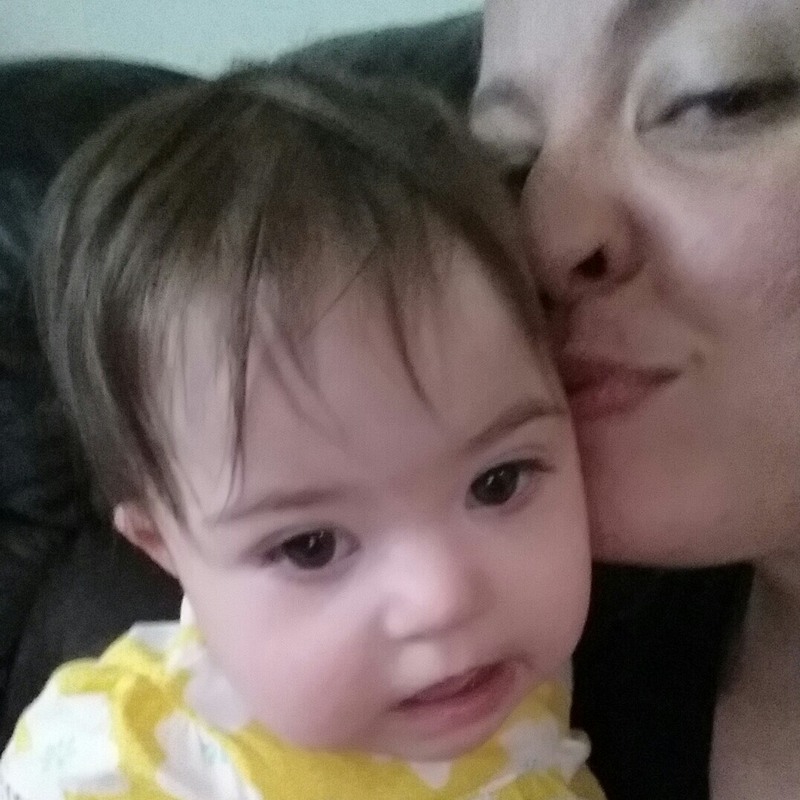 My Friend’s Baby Has Down Syndrome….What Do I Say? My friend just had a baby with Down syndrome, and I don’t know what to say to her. I don’t want to tell her I’m sorry because all babies are a blessing, but saying “Congratulations!” seems awkward. Any suggestions? I gave birth to a baby girl with Down syndrome nine and a half months ago, and the range of emotions I dealt with ran high and low. During my pregnancy, I found out there was a possibility that my daughter might have Down syndrome based on ultrasounds and blood tests, but she wasn’t fully diagnosed until a week after she was born. I didn’t tell many people before and right after she was born because I didn’t want anyone feeling sorry for me. I wanted people to accept her as she is, love her, and be supportive—and most were! There were only a few people who said they were “Sorry.” Flinching at their comments, I took a deep breath and told them that they need not be sorry at all because there was nothing “wrong” with my baby girl. She has an extra chromosome. That’s really it. When you see your friend, you are correct that saying “I’m sorry” wouldn’t be the best thing to tell her. It creates a negative environment for everyone, and this is what you don’t want to do. When my husband’s grandmother came to the NICU to visit my daughter, she asked us, “Can the doctors fix her?” Don’t ask questions like this either. If anything, you want to be positive by saying congratulations, which is appropriate in my humble opinion. Your friend just carried and gave birth to her baby, so you are really saying congratulations to your friend and her child. There are other things you can say: “He/she has so much hair!” “Look at those eyelashes!” “Oh, those pouty lips!” “Precious! Look how he/she sleeps!” You know, the positive statements that deflect anything negative. Do not mention anything that defines her baby as a disability, such as “It will be hard on you.” Or, “Don’t expect him/her to be animated for the first six months.” Yes, I was told these by nurses, of all people. Also, don’t say negative things about the baby’s appearance: “Why is there a tube up his/her nose?” “Will his/her eyes slant up like that all his/her life?” or “Why can’t she take a bottle yet?” Please … just be positive. Feel free to not say anything and just smile and/or give your friend a hug. This might be the best thing to do if your friend is not happy with the chromosome results. Let her know you are there for her. Sometimes with the diagnosis of Down syndrome, there are other medical problems that parents have to deal with— heart defects, intestinal defects, and cleft lip, among other issues. This is probably the area where most people feel the need to say that they are sorry, but there is no need to say you’re sorry simply because your friend had a baby with a heart defect. Be supportive and listen to your friend. She will have to accept her baby eventually, and she will. Ultimately, with any negative or positive statement, you are setting up your relationship with you and your friend’s child. Acknowledge and read about the disability. If the baby has no other defects other than an extra chromosome, like my daughter, a “Congratulations!” is more than sufficient! In fact, that baby will be a major blessing to his/her parents and to you! When my daughter was born and diagnosed, everyone kept telling me “God doesn’t give you what you cant handle” and I hated it, because I couldn’t handle it at the time. The best thing someone said to me was, “God does sometimes give us what we cant handle, but he always gives us the strength to handle it” Save this for a time when your friend is having a hard time and needs some encouragement. In the meantime, congratulate her! Help her enjoy her new baby. I missed out on celebrating in the hospital room and the month to follow because I was to busy being upset and none of my friends knew what to say!!! Help her celebrate, because one day, she will look back and say “what were we so afraid of”. Congratulations says it best! I work with Special Olympics and we have people with all kinds of “disabilities”. Our Ambassador has down syndrome, we have people in every sport with down syndrome and it doesn’t stop them from doing anything. Some things might be a little harder for all in Special Olympics but watching them play and everything you can’t tell. Never fear, just love. My friend also has a daughter with Down Syndrome and she’s a beautiful sweet baby and she will go far in life and her parents are awesome so are her siblings and the entire family. I have a cousin with Down syndrome he’s 20 something and he is severe with physical conditions also but as soon as he hears music he gets down and dances and he communicates the best he can. He’s happy they all are so don’t feel sorry for them or their families. NOTHING is wrong with any of them they are who God made them and he doesn’t make mistakes. Love, just give love and support. What do you say? Well maybe when you first see a photo “oh, he looks so cute in green”. Something like that. Or maybe something like “is there anything I can do for you? New moms are always a busy?” Don’t say how sorry you are, because its not a sorry thing that he or she was born.